Luis E. Gomez is an Associate with the firm and has experience defending municipalities, hospitals, and private companies in state and federal court. Mr. Gomez regularly appears in court, prepares written discovery, drafts pleadings and motions, and conducts fact and expert witness depositions. In his first year of practice, Mr. Gomez second-chaired a medical malpractice trial involving the Detroit Medical Center, helping to obtain no-cause verdict for the hospital. In an effort to give a greater voice to the Latino community in Southeast Michigan, Mr. Gomez represents Spanish-speaking individuals with common legal concerns like business disputes and general litigation, as well as criminal and family law matters. He is proud to offer these legal services in English and Spanish. Mr. Gomez graduated with honors in History from the University of California, Berkeley. For three years before starting law school, he worked as the Lead Litigation Paralegal for a litigation firm in Los Angeles that specialized in employment and personal injury law. Luis attended the University of Michigan Law School. While in law school, he worked as a student attorney in two of Michigan Law’s premier legal clinics — the Michigan Innocence Clinic and the Civil and Criminal Litigation Clinic. As a student attorney, Luis litigated various cases in Michigan courts. During his law school career, Luis completed a judicial externship with Justice Madeleine Flier of the California Court of Appeals. 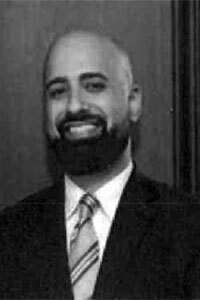 He also served as an Associate Editor of the Michigan Journal of Race and Law and board member of the Latino Law Students Association (LLSA) for two years.